One of the much anticipated announcements to come out of WWDC 2011’s opening keynote was Apple’s new iCloud service. Offering new cloud-based syncing and storage for iOS devices and iTunes, iCloud takes what MobileMe started and promises to turn it into something both useful and that actually works. But with iOS 5 not available to the public just yet, what can existing iOS 4.3 users do that will put the new iCloud service through its paces? What will happen to the content I have on MobileMe? Part of iCloud’s feature-set is the ability to wirelessly download and sync newly purchased content to up to 10 devices. 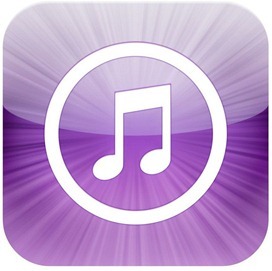 Already purchased content, such as music or iBooks, can be re-downloaded for free individually. Previously, downloading already purchased music would result in your iTunes account being charged as if you never bought it the first time, so this is a welcome change from Apple. iTunes in the Cloud (Your Music Locker): this service allows any newly purchased content, such as songs, Apps or iBooks, to be automatically synced over the air to up to 10 devices. For already purchased content, users will have the option to download each song, App or book individually. In order to show off how this works on current iOS 4.3 equipped iOS devices, and iOS 5, folks from ‘This Is My Next’ put together some short videos, showing some these new features in action. The first video shows Topolsky re-downloaded pre-purchased music (who doesn’t love the Beach Boys?) and after a couple of attempts and accepting the usual 60-odd page licensing agreement the process worked. If you’re going to try this at home though, please do remember that this is still early beta-grade software and Apple will no doubt have a few kinks to work out at their end so be patient! 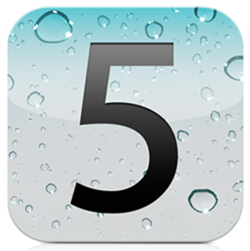 Another major announcement, and arguably the most eagerly anticipated, was iOS 5. Featuring more new features than you can shake an Android-shaped stick at, iOS 5 is the biggest overhaul of Apple’s mobile operating system since the invention of the App Store way back when. In another ‘This Is My Next‘ video, we’re treated to a first hand account of what’s going on in the first beta – with notifications, widgets and the new camera app being the stars of this particular show. More on iOS 5 and its iCloud integration when we’ve had chance to spend some time with it ourselves.